Youth Club already collecting for Khushi Feet! Home / News / Youth Club already collecting for Khushi Feet! 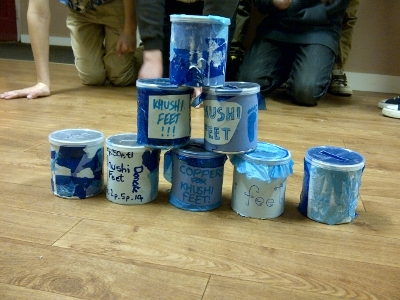 The young people at The Grid Youth Club are already getting exciting about Khushi Feet. 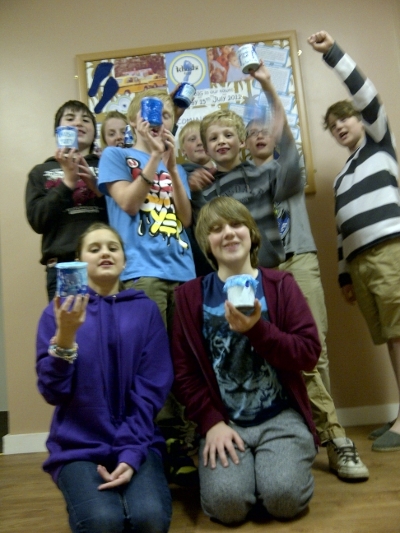 They spent last Friday night creating fantastic little blue money boxes from old Pringle pots and will be spending now until Friday 13th July collecting loose change. There will be a prize for the young person who collects the most. If you’re in year 6, 7, or 8 at school and want to come along to the Youth Club and learn more about Khushi Feet please contact Sam Cook who runs the club at Faversham Baptist Church.